This weeks Lotto numbers are 6, 7, 11, 23 and Bonus 26 were drawn with eighteen match three winners and no Jackpot winner. The prize fund for the next draw is €12,650. 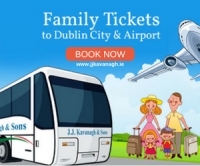 Tickets are available from all clubs in Kilkenny and online here. The next draw takes place on Tuesday next 30th. 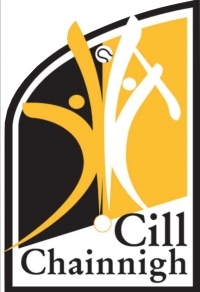 The Kilkenny GAA Clár na gCluichí 2019 distributed to all the Club and Bord na nÓg secretaries in March is now available online here, click 2019 Fixtures Book. The publication contains information on all the Fixtures at Adult, Juvenile and Primary Schools level in the County, the Inter County Fixtures along with Development Squads, Celtic League, Cúl Camp and School Visit dates. Also Match Regulations and Contact and Club Support Details. Compiled by all involved in Kilkenny GAA the book was put together by Gerry O’Neill and is sponsored by the Year Book Committee. Kilkenny re-entered the Leinster minor football championship on Tuesday night with a Nowlan Park clash against Louth. Louth ran out 3-16 to 3-8 winners but Kilkenny can be very happy with an overall solid performance. Kilkenny's next outing will be in two weeks time against Wicklow in Nowlan Park on Tuesday, May 7th at 7pm. Kilkenny will face Louth in Round 1 of the Electric Ireland MFC on Tuesday evening in Nowlan Park at 7pm. Click below for the team that will line-out in this fixture.